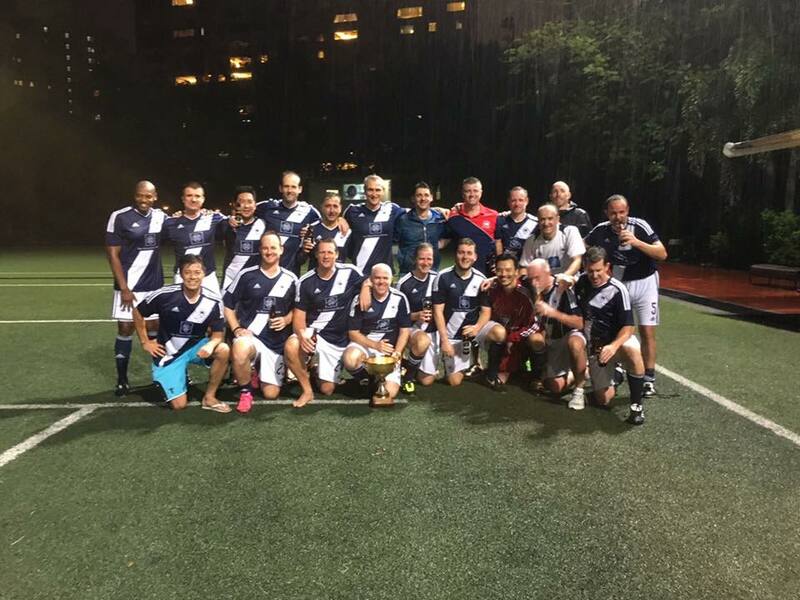 The Legend League now has two leagues the over 35s and 45s. 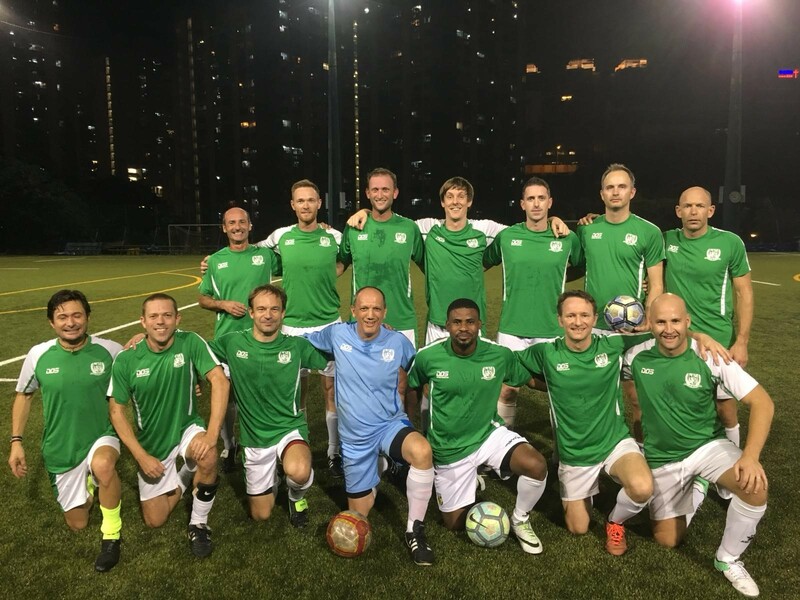 The Over 35s started in late September and mix of different results has seen a very open title this season with a host of teams still capable of winning the league. 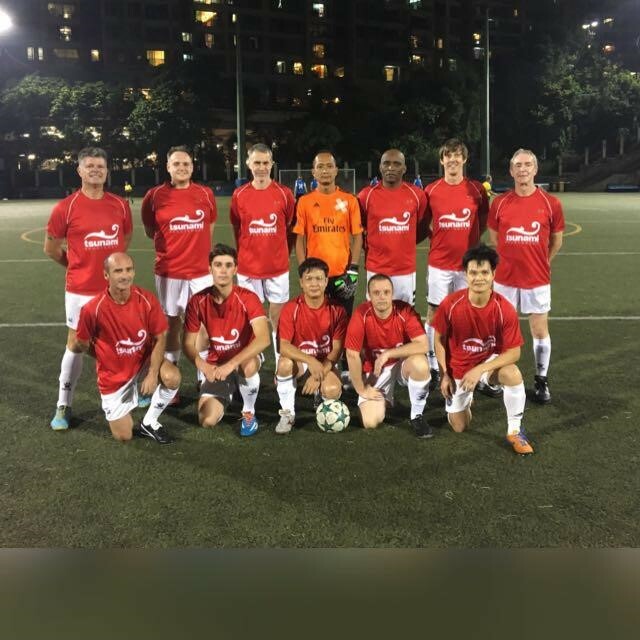 The Over 35s also welcomed a new team Kennedy Town FC who managed by Simon Ng finds themselves well placed mid table fifth after a tough introduction game to the league against USRC 1911 with 1-7 defeat. However, the new boys from the west have bounced back well and a 3-1 win against DBFC Vets followed by a 1-1 draw against AFC Forward Seniors they are looking forward to a bright 2019 with hopefully a top half finish on their debut season. Current league leaders Godfathers run by manager Mathew Littlefield has looked unstoppable this season. With top goal scorer in the league Ollie Rendall with 9 goals so far seems to be the signing of the season. Littlefield has told his team that he will try his best to do a Gareth Southgate dress sense for every game while they remain undefeated. Of their 4 wins probably, the best there 4-0 thumping of Spartans Masters down at HKIS Stanley a place Littlefield says always tough to come away with points. In the chasing pack HKFC are in second place with a game in hand although the goal difference is far inferior to Godfathers they are also undefeated this season. Gaffa Darren McEntee has rallied the troops at Sports Road and after a sluggish start to season with a high scoring 5-5 all draw with Godfathers and a 0-0 draw against DBFC Vets they have bounced back with a narrow 2-1 win against the Spartans and a thumping 5-2 win over USRC. 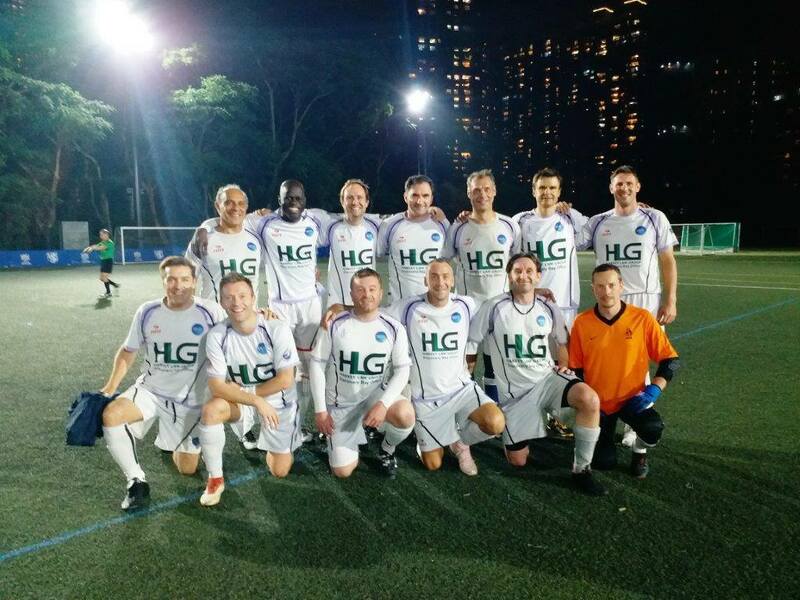 Playing at the even impressive HKFC on Sports Road usually always a highlight for the other Legends teams nevertheless a difficult assignment as well to get any points there. 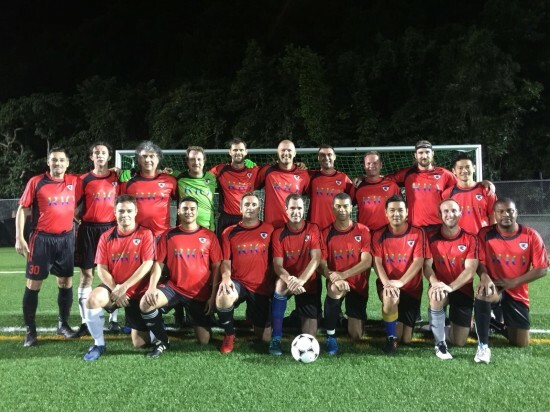 In third place is Spartans Masters after an indifferent 2017/2018 season and three loses at the start of the current season manager Henry Vera’s team looked out of sorts. However, a string of impressive wins at the back end of 2018 has galvanised his side into 3rd place with top marksmen Andy Mitchell leading the charge with 4 goals after having an early season injury. New recruit Marek Zajac has also been in the thick of the action both in the midfield and goals. BTDT are in fourth place however with 2 games in hand they can easily jump up the ladder and are definitely in the mix for the league title this season. 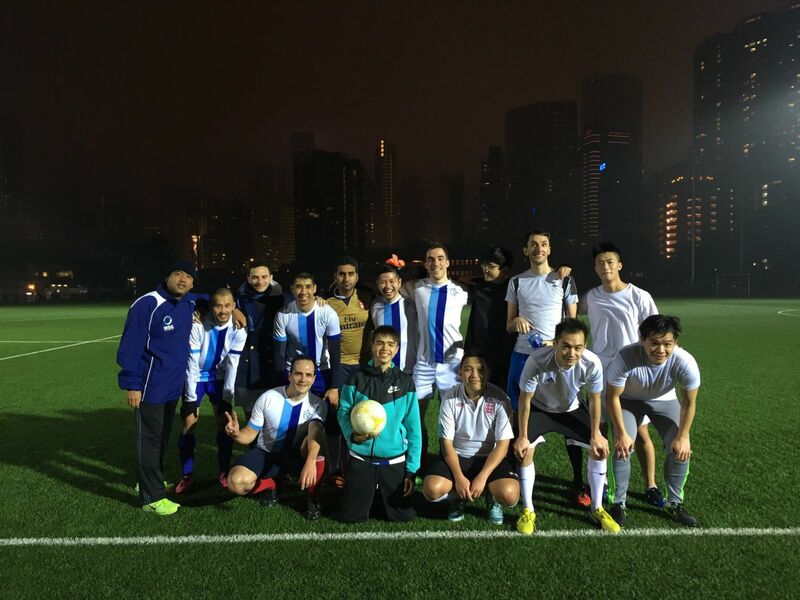 A tough 0-4 loss to league leaders Godfathers hasn’t stopped their momentum and impressive follow up wins against Forward 3-1 and Kennedy Town 4-1 has seen them climbing up the league ladder. The ever-impressive trio management of Stephen Verhasselt, Kurt Lettani and Rob Berling can usually be spotted either at Happy Valley Bar and Grill or the White Stag discussing their team chances on winning the next game or which country the team is likely to tour next. Last seasons champions DBFC Vets find themselves in unfamiliar territory in 6th place at the break. 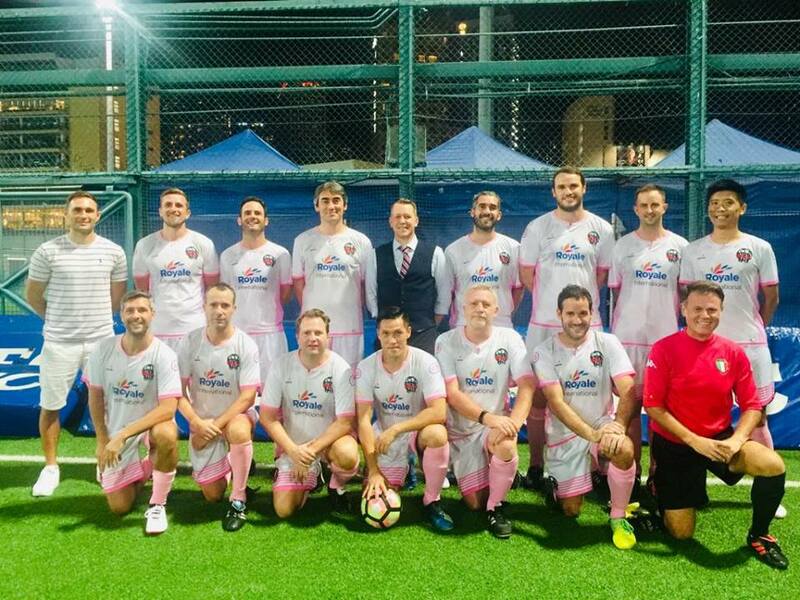 Having had an all-conquering season last year which not only included a league title but also winning the prestigious Citi Soccer 7s at HKFC, it’s been hard to replicate this season. New manager Pascal Laroumanie has tried his best to rally the troops but a succession of 3 draws and only one league win 3-1 against USRC 1911 has seen the champions with a lot of work to do in 2019 if they are going to regain the title. USRC 1911 started on fire in the league and possibly may have peaked too early. 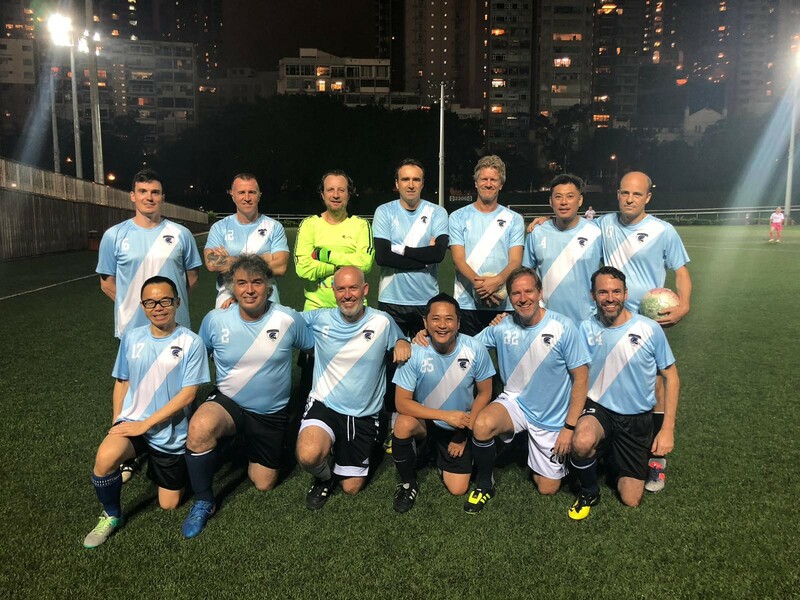 A smashing 7-1 win over Kennedy Town and then a 5-2 belting of Spartans Masters has been their only wins with a succession of loses and scarped draws from Lawrence Rudge side who has unfortunately been hit by a number of injuries this season. Top marksmen Greg Turner has still been on fire this season with 7 goals however the defence hasn’t been able to hold off the opposition striker this season as well as previous seasons. AFC Forward Seniors also find themselves at the bottom of the table however a team which struggles to get numbers still provide competitive opposition. Manager Selim Evduzen has rallied the troops on numerous occasions this season. In recent matches they have been producing some results. 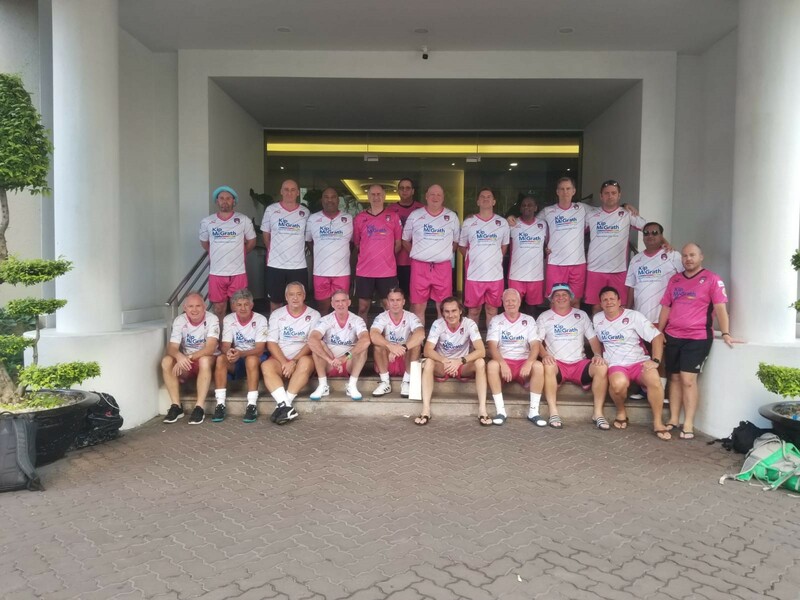 Their gutsy 1-0 win over USRC and 1-1 draw against Kennedy Town suggests that they may have turned the corner and we wouldn’t be surprised to see a much-improved position come 2019. The league kicked off in November and will be played all year round. 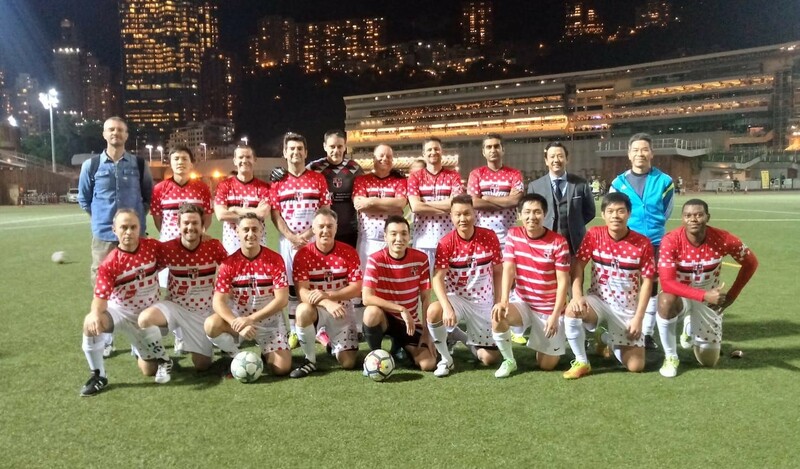 The inaugural Legends Over 45s game took place at Happy Valley on Friday Night between Spartans and Sai Kung Beach Boys. 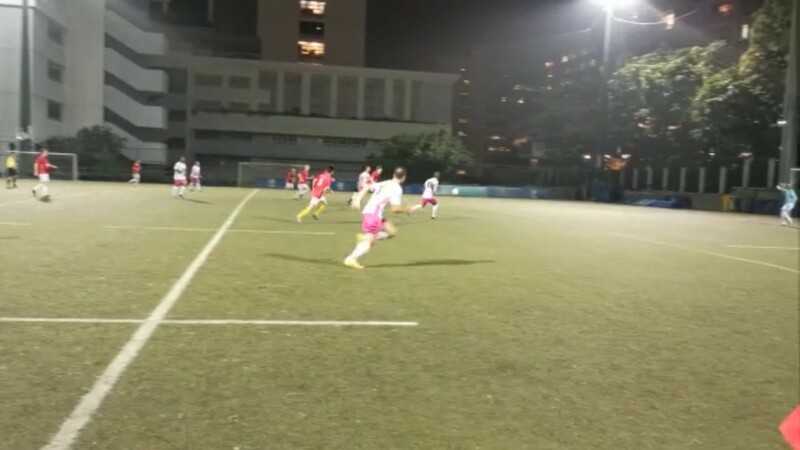 In a hard fought match Spartans scored first before Sai Kung equalised. A late heading winner from Roelof Boosman settled the game. Manager Henry Vera was delighted with the win although missed a total sitter 6 yards out. Brian OShea also had a goal disallowed in controversial circumstances as the player had adjudged to have hand ball it. 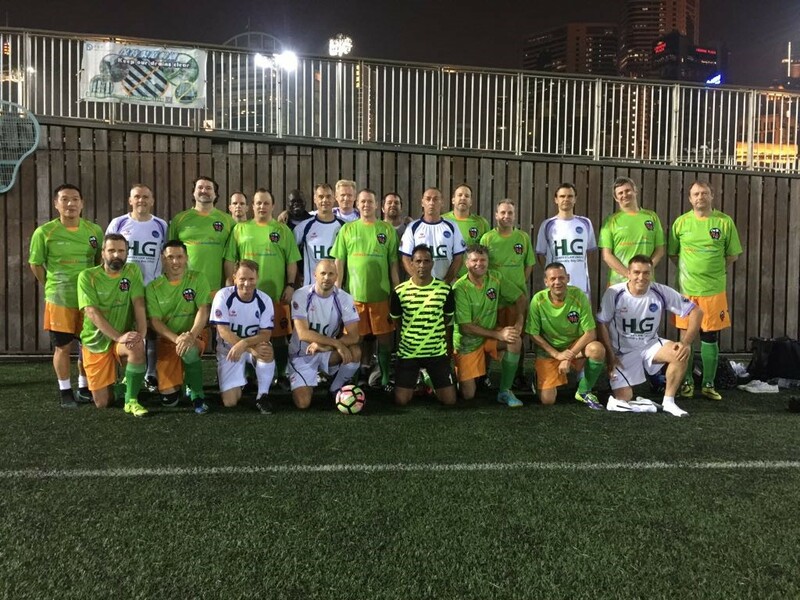 The following week Discovery Bay beat Godfathers 3-0 the game was level at half time before DB scored 3 unanswered goals in the second half. DB’s manager Steve Wozencraft was delighted with his team’s performance. “It was down to the Manager’s half time talk! Told my lot to stop **** around and show the same kind of commitment as the opposition. 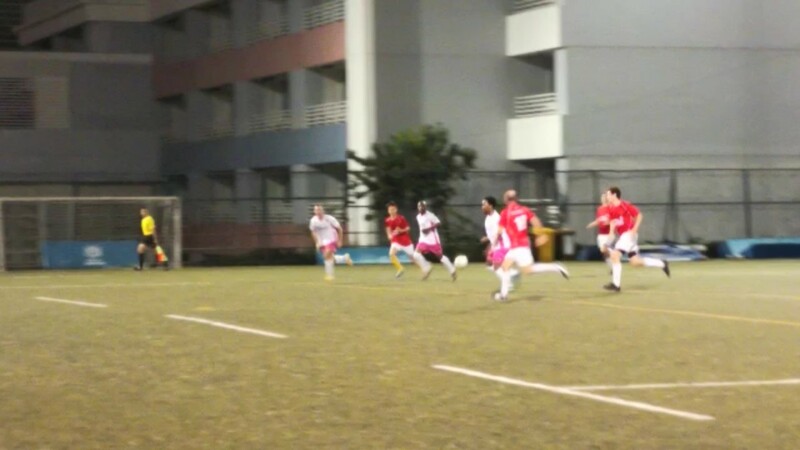 Sai Kung Beach Boys bounced back from their loss to record a 4-0 win over USRC VItese. Vitese manager Alan Urmstrong said it was no disgrace losing to a strong team like the Beach boys. With us having just 12 at kick-off and no recognised keeper, Mark volunteered to go in goal. This weakened the midfield so BB quickly gained control and dominated the attack. Beach Boys slowly gained the ascendency which resulted in 4 unanswered goals.